The synergistic effects of these acids, provides great benefits, reversing the effects of aging and improving skin luminosity and texture. 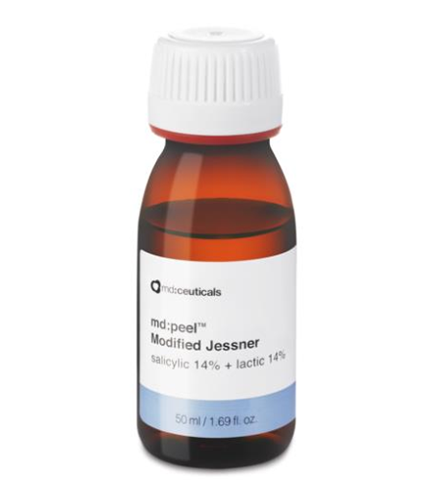 md:peel Modified Jessner solution is a combination of salicylic acid, lactic acid, and citric acid. The synergistic effects of these acids, provides great benefits, reversing the effects of aging and improving skin luminosity and texture. 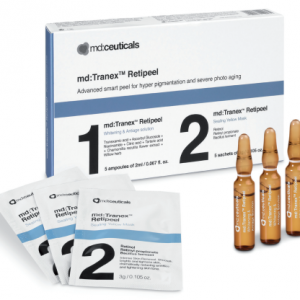 md:peel Modified Jessner provides the skin with high levels of elasticity and hydration. 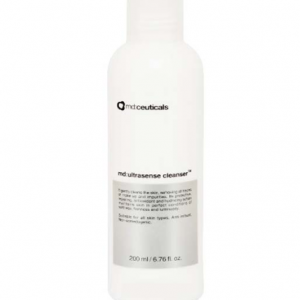 It accelerates epidermal exfoliation, increasing skin brightness and smoothness. 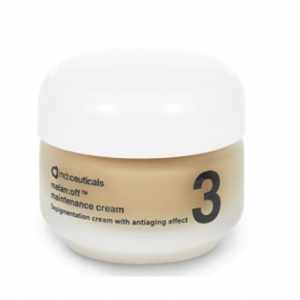 It may be used on dull skins with fine lines, irregular pigmentation and acne prone skin types. Suitable for dark phototypes and sensitive skin. 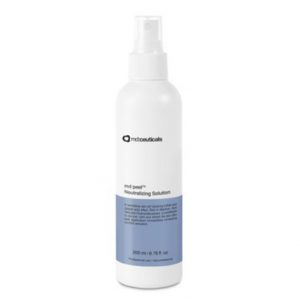 Neutralizes skin PH, blocking any further acid effect. Rich in Allantoin, Aloe Vera and Chamomilla extracts helps to repair, calm and refresh the skin immediately post-peel application. 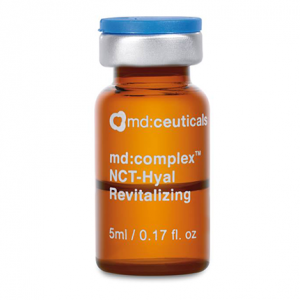 Revitalizes and deeply moisturizes tired and dull skins with lack of glow, luminosity, tone and elasticity, restoring skin youthful appearance and revealing radiant and smooth complexion. 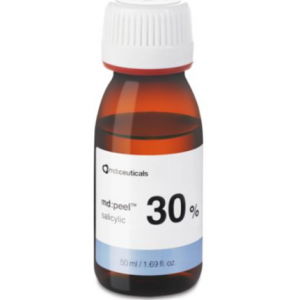 Salicylic Acid is a Beta Hydroxy acid that reduces the cohesion of corneocytes causing the exfoliation of dead and damaged cells, promoting a refined skin texture and an even tone. Highly eﬀective in the removal of hyperpigmentation, clearing acne-prone skin, erasing wrinkles and treating ageing skin that has a naturally slow cell turnover cycle. 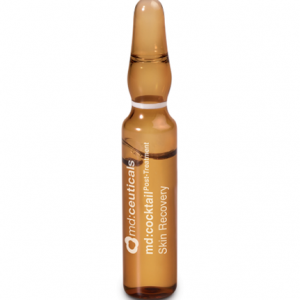 Produces effective skin whitening, eliminating blemishes of melanic origin located in face, neckline, neck, hands and arms in a quick, safe and effective way, utilizing a combination of different whitening active principles that inhibit the process of melanin formation in all the stages.